This will be the best work footwear you've ever slipped your feet into! These Danner Men's 17319 Brown EH Quarry 8 Inch USA-Made Boots aren't just durable, but also cool to look at! The distressed look adds visual appeal, while the many features protect your feet. ... (see full details) (see specifications) #DNN17319. This will be the best work footwear you've ever slipped your feet into! These Danner Men's 17319 Brown EH Quarry 8 Inch USA-Made Boots aren't just durable, but also cool to look at! The distressed look adds visual appeal, while the many features protect your feet. For your comfort, these Danner boots have 100% waterproof and breathable GORE-TEX® lining. Dryness and warmth are key here! The insides of these American-made boots are also insulated with 400 grams of Thinsulate Ultra insulation. Top-grain oiled nubuck leather provides a natural, rugged look with superior protection. Danner also provides handcrafted stitchdown construction, giving you a wider platform for increased stability underfoot. This special type of construction makes this men's footwear recraftable at Danner's Portland factory. The triple stitching of these brown boots provides superior endurance for years to come. In addition to that, rugged hardware adds a secure fit and long-lasting performance. And it gets much, much better! The outsoles of these waterproof boots are Vibram Quarry Fire & Ice, and they're oil- and slip-resistant and offer excellent traction in extreme cold and hot environments! You read correctly! The fiberglass shanks provide you with sturdiness, too! These insulated boots also have electrical hazard protection ASTM F2892-11 EH. Working safely and comfortably has never looked better than it has with these Danner Men's 17319 Brown Quarry USA-Made 8 Inch EH Boots! Get your pair today. Have been buying Danner boots for almost 30 years, and with the exception of one pair of Chinese made boots they have all been excellent. I currently own four sets 2 / work, hunting, and hiking types. All have great durability and have been comfortable from day one. They are worth the extra money. 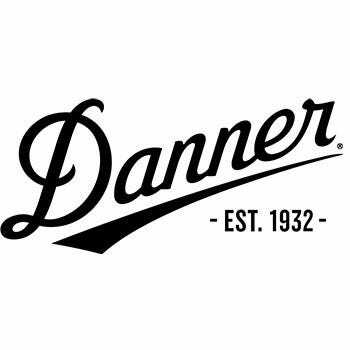 Danner Boots: Men's 17319 Brown Waterproof USA-Made EH Insulated Quarry Boots is being added to your cart.